I’ve decided that I want to add a few things to my blog as believe it or not, I do enjoy other things apart from crochet! 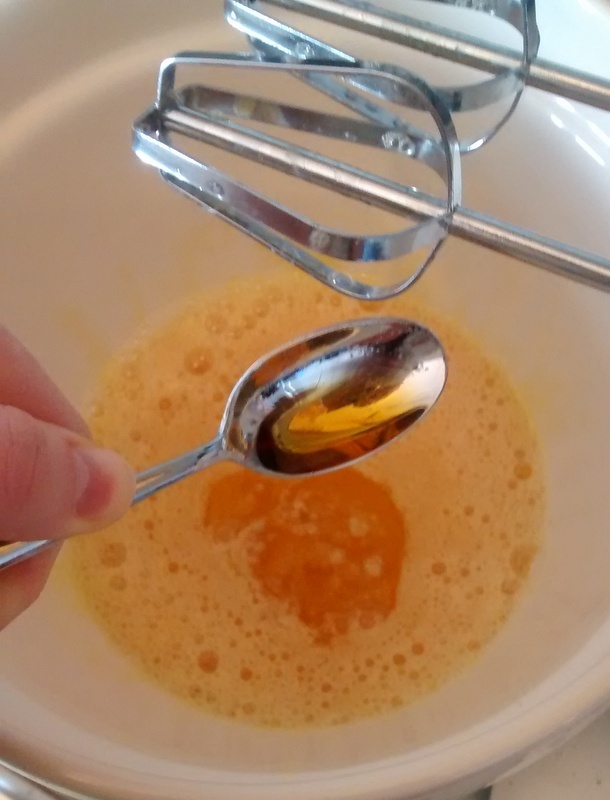 I realised as I was looking back through my blog that I haven’t post any recipes for a while so I’m going to be adding a few of my favourites over the next few months. 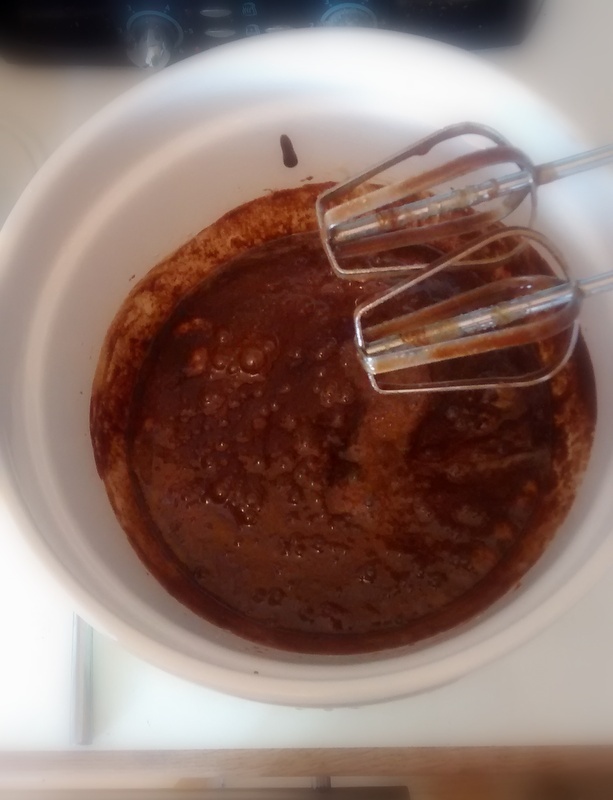 The first one is for these yummy chocolate brownies. Now I’d love to take credit for these but they come from a friend whose family is famous (well in their circle of friends) for these brownies. They are fairly easy to make but there are a few steps. Believe me though, they are well worth it. 150g of Milk and White chocolate (I usually use 100g of milk and 50g of white as hubby isn’t a massive white chocolate fan but you can do whatever you like). 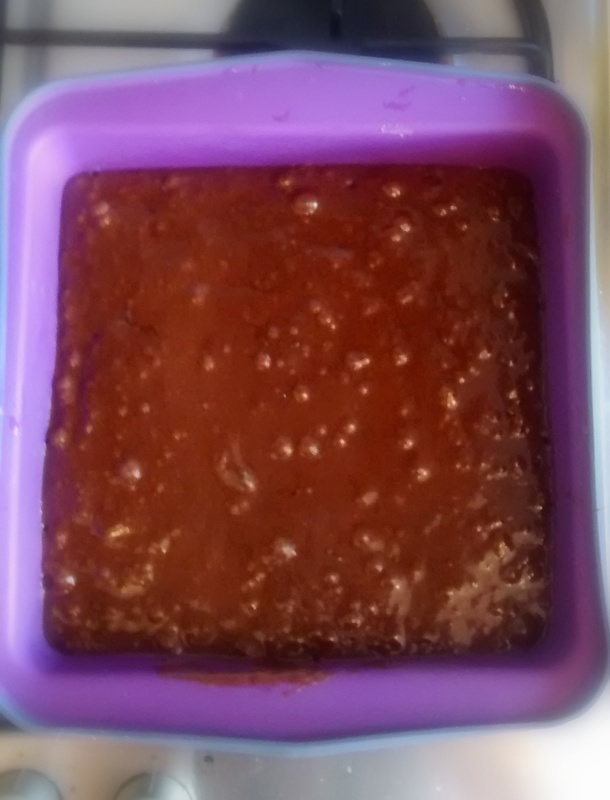 Grease and line a 20cm by 20cm square cake tin and pre-heat your oven to 180oC. 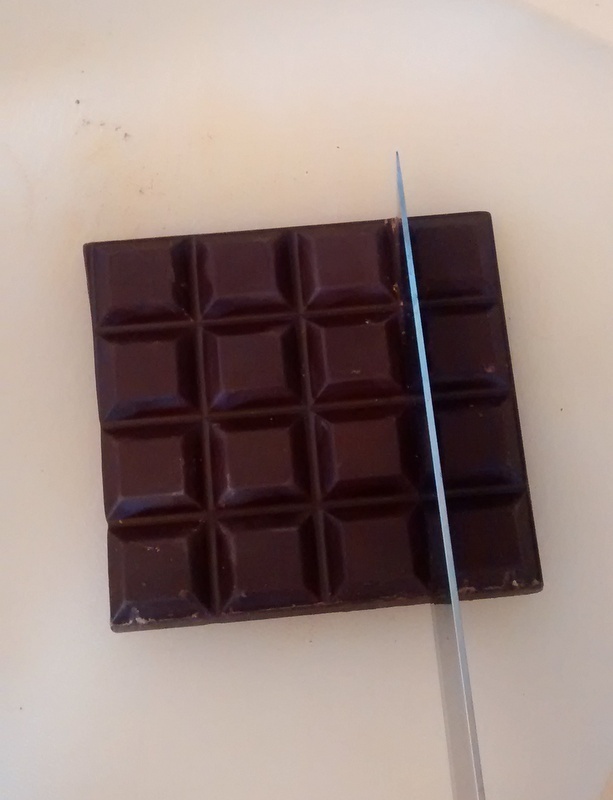 Chop up the dark chocolate. 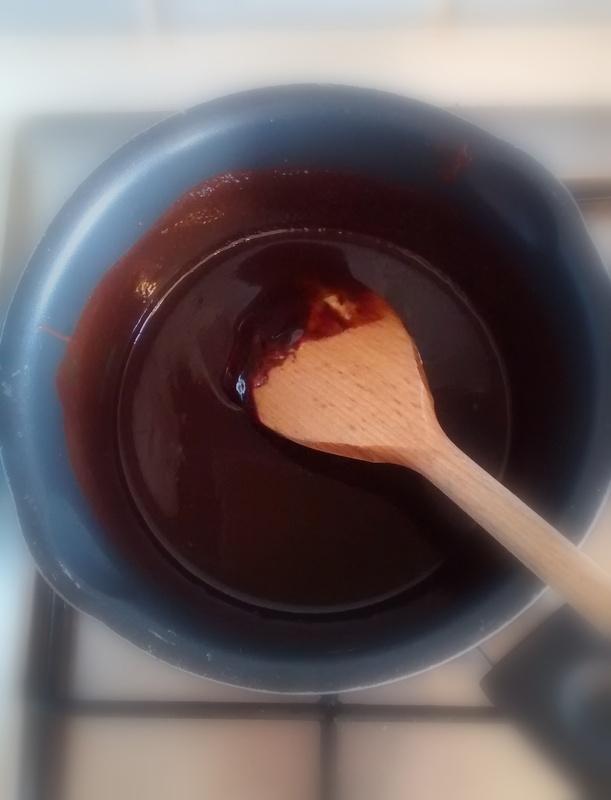 Put the butter and dark chocolate into a pan and over a medium heat, melt. Leave to cool on the side. 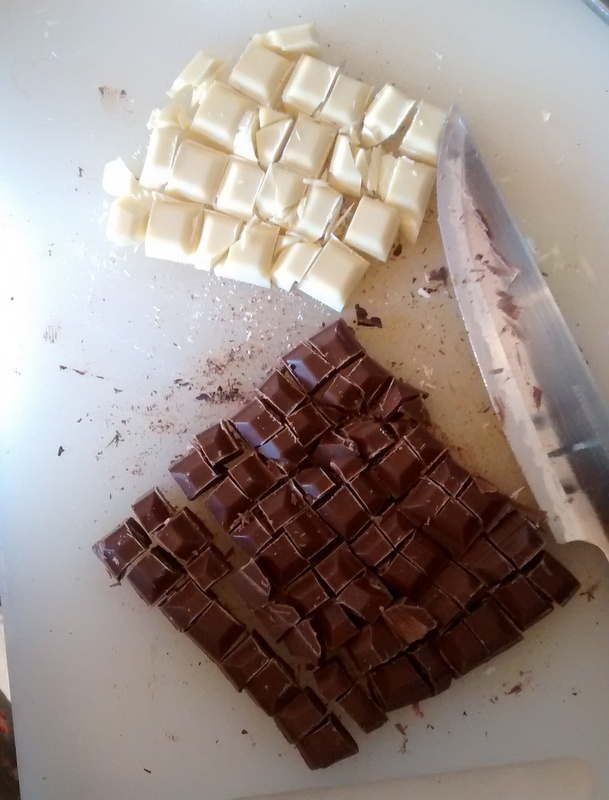 Chop other chocolate into chunks (I usually cut each small square into quarters). 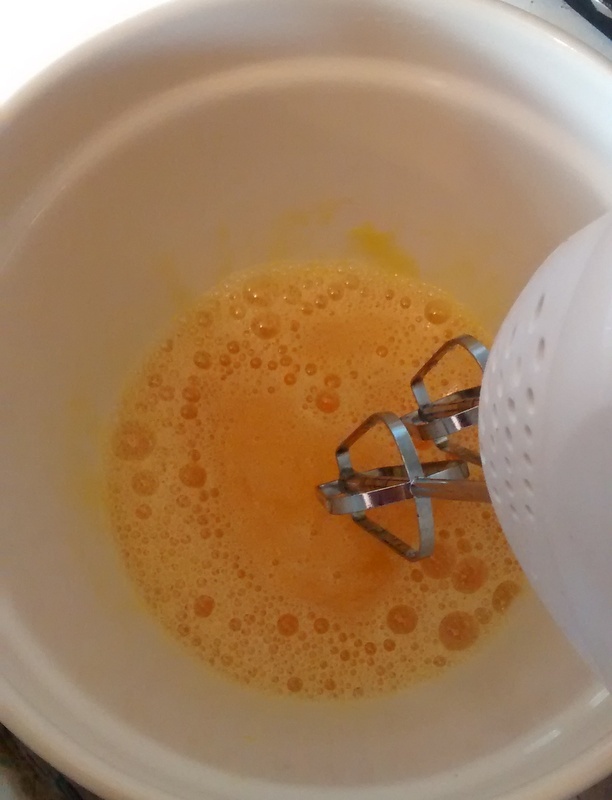 Whisk the eggs and salt until foaming and then add sugar and vanilla extract. 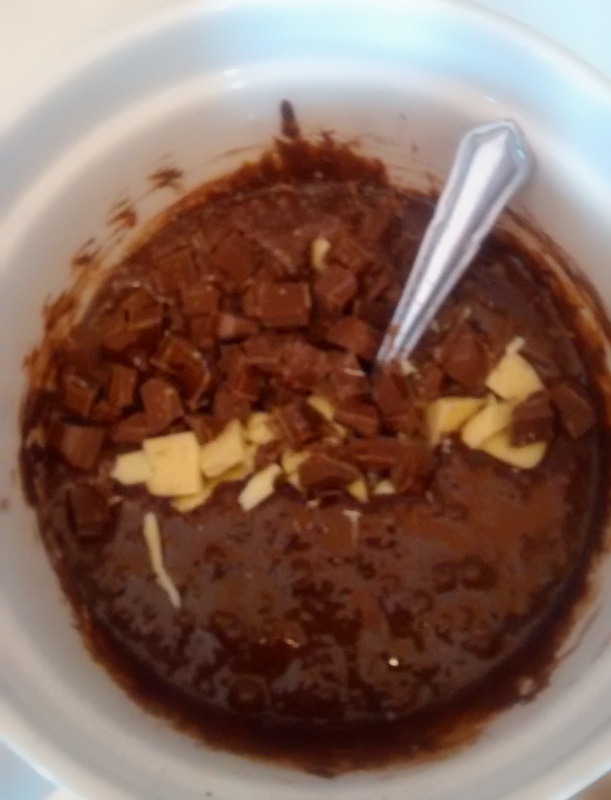 Pour the cooled chocolate and butter unto the rest of the mixture and mix roughly. 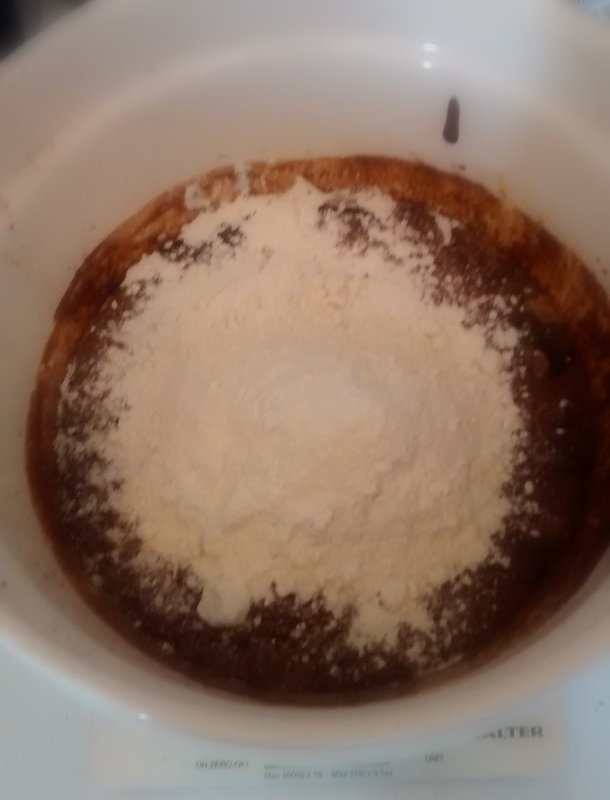 Sift in flour and cocoa powder and fold in gently. Pour into tin and cook for 35-40min. 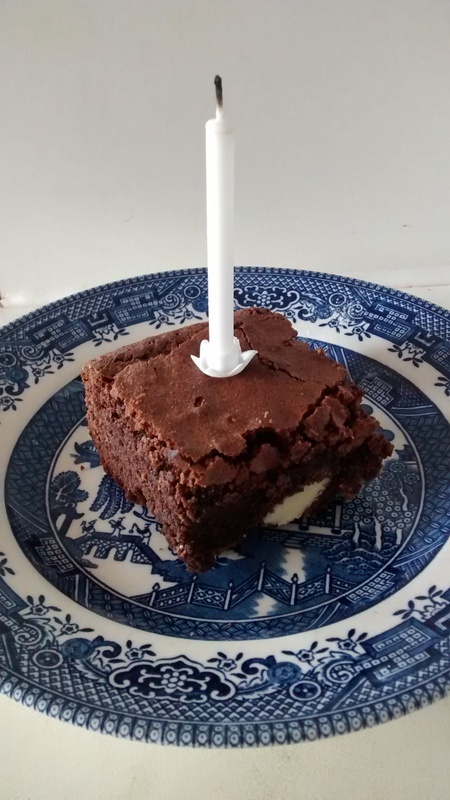 Test whether it’s ready by sticking a knife in. It should come out slightly moist as though not quite cooked. 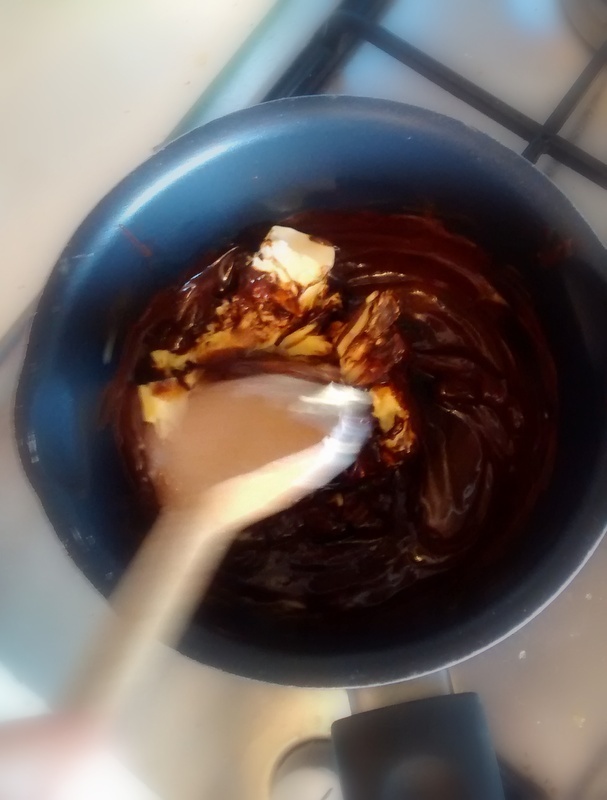 If it still looks completely uncooked, try another again, just to make sure you haven’t hit one of the chocolate chunks! Turn out carefully onto a cooling rack to cool. 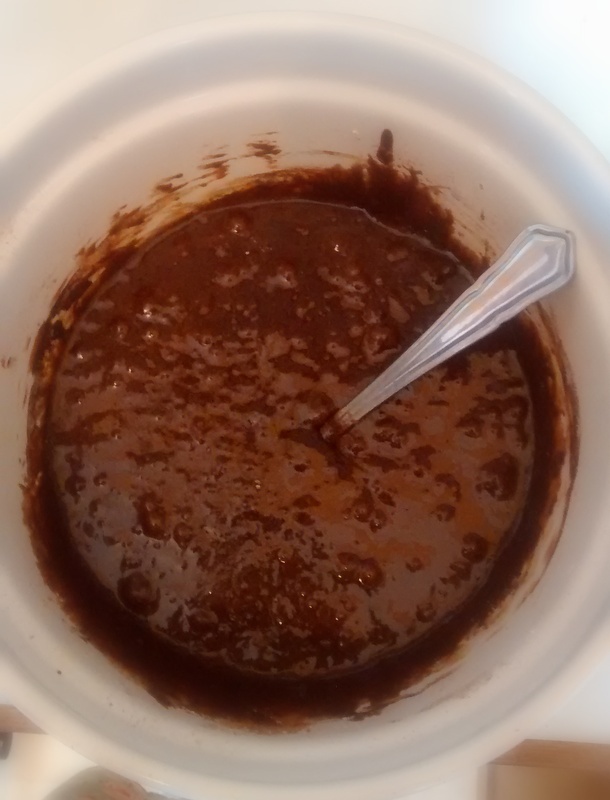 Once completely cooled, cut into brownie sized pieces.